Our team has produced concept designs for a range of different vessels, including logistics support vessels, amphibious ships, Corvettes, Frigates, Destroyers, Cruisers, patrol boats, fast attack craft, Carriers and submersibles. We have also participated in the UK’s Naval Design Partnering Team, which conducts all pre-concept and concept ship designs for the Royal Navy and Royal Fleet Auxiliary. 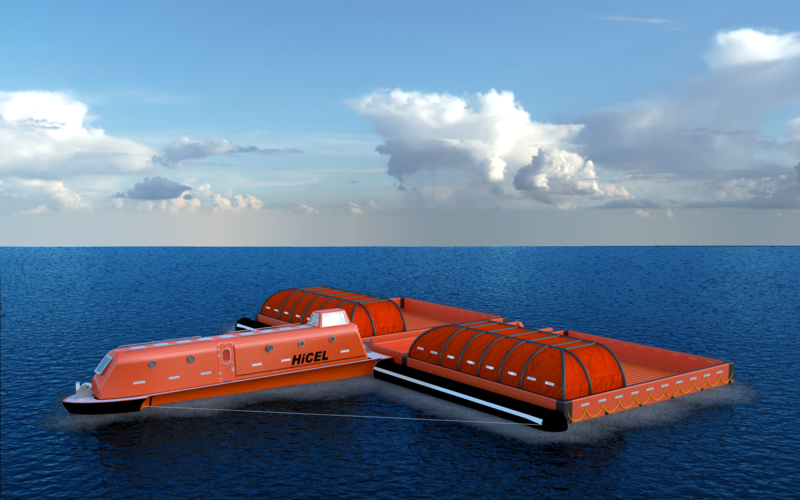 In the civilian maritime sector we have produced designs for complex undersea equipment for the energy industry, novel unmanned survey vessels and super yachts. Steller Systems’ Naval Architects are expert users in a range of industry-standard design and analysis software, having used a range of packages for many ship designs and reviews; indeed, our staff have managed the development and validation of Paramarine and have developed help manuals. Our experience of these tools enables efficient problem solving and cost-effective solutions for our clients. Steller Systems combines a deep technical background with novel thinking, creativity and a keen interest in exploring new ideas for the benefit of its clients. Systems thinking is built into everything we do – ensuring that systems or designs are not considered in isolation, but ensuring that everything works together in order to satisfy the User’s ultimate requirements. 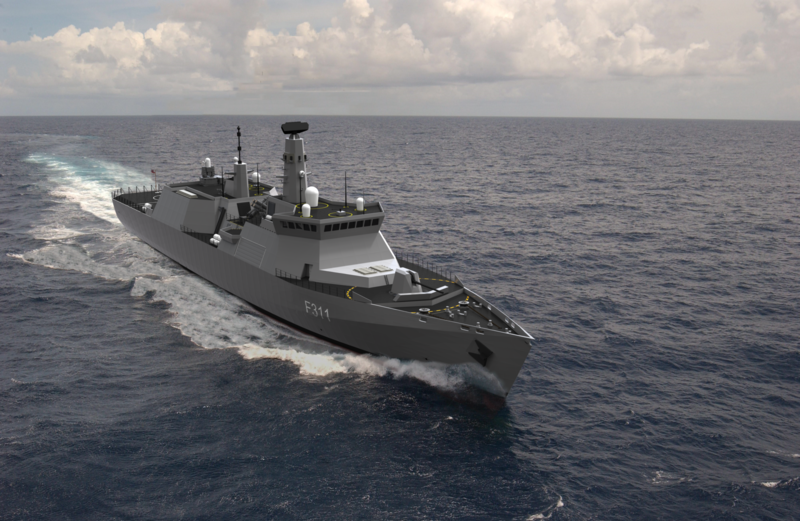 Steller Systems has developed an innovative design for a configurable, modular, survivable, affordable and exportable ship that will meet the Royal Navy’s current and future requirements for a General Purpose Frigate (GPFF). Our innovative solution includes a reconfigurable aft mission space with ramp access to embark Unmanned Vehicles (UXVs), sufficient power generation to accommodate systems growth over the next 30 years, and survivability designed in from the outset through the configuration of the vessel rather than relying on complex systems for this purpose. Our underlying focus on exportability has produced an affordable design solution that will support the UK shipbuilding and defence systems industries and, in turn, will enable the Royal Navy to build fleet numbers. The provision of dedicated Humanitarian Operation Ships (HOS) has the potential to offer a more targeted and efficient response to this core aspect of naval operations, whilst providing a range of other benefits. 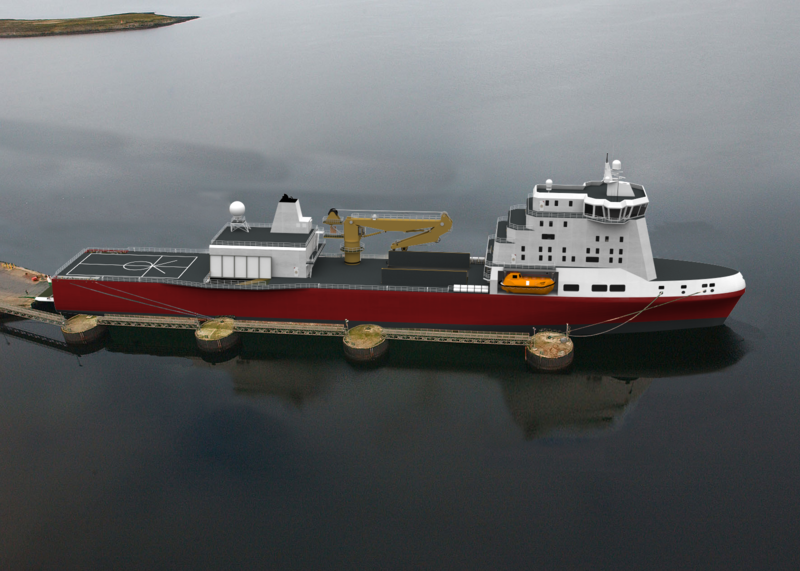 Steller Systems has designed a 140m ship specifically for this purpose, including a ramp and vehicle deck that can be accessed directly from the deck as well as cranage and a substantial forward hold. A 100 bed, NATO Role 3 medical treatment facility, sized to exceed the recommendations of naval defence standards, are located in the aft of the superstructure on the main weather deck, allowing direct access for casualties arriving via the helideck or through the vehicle deck ramp. Lifeboats are located adjacent to the medical facility, allowing direct transfer of patients and stretchers in the case of an emergency evacuation. A large forward upper and lower hold give 6500m3 of flexible storage space over two levels, suitable for storage of containers, vehicles and a wide range of mission specific stores. An offset hangar has been included, large enough to accommodate a Merlin helicopter and a small vehicle garage for stowage of bosun’s stores and deck vehicles. The Mediterranean migrant crisis has resulted in the highest population displacement since the Second World War. Small vessels such as wooden fishing boats and RIBs are commonly used by smugglers as transport; these are often unseaworthy and filled with numbers of passengers far exceeding their intended capacity. When failure occurs, rescues are typically conducted by the nearest available vessel. These vessels are often ill-equipped for a large-scale Search and Rescue (SAR) operation making it highly dangerous for all involved. The size and quantity of lifeboats available are often insufficient for the large numbers of people to be rescued; as a result, repeat journeys are required, making the rescue process slow, inefficient and hazardous. Steller Systems’ concept design for a rapidly expandable lifeboat is capable of holding large numbers of passengers, whilst still fitting into the operational envelope of common davits. The unique inflatable design can be deployed quickly from a range of vessels and aeroplanes offering an immediate platform from which disembarkation onto a suitable vessel can be achieved. 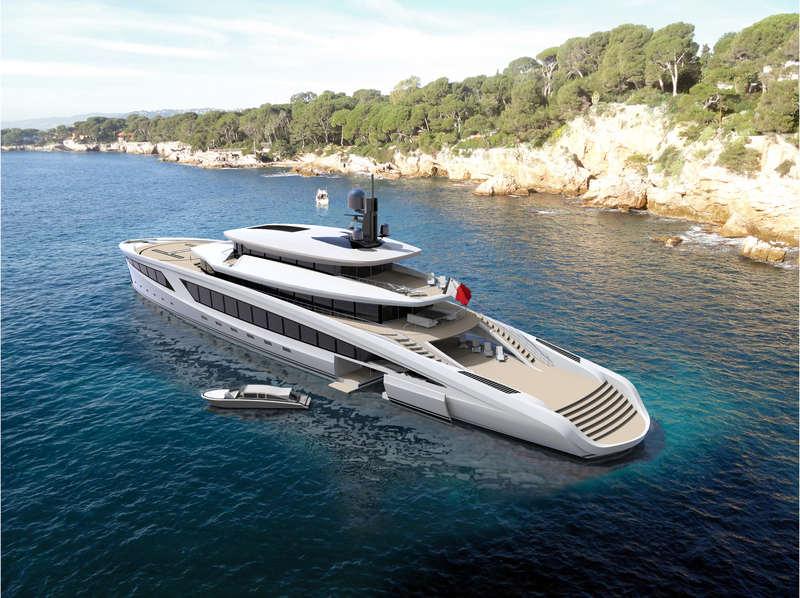 Project SAN BAO is an innovative design for a luxury 76m yacht. The design is the result of a unique collaboration between Steller Systems, RMD Marine, David Chang Design Associates and Andrew Weir Yacht Management, combining naval engineering and ship design, world-class luxury design from the yachting world, and a super yacht management perspective. SAN BAO was designed ‘from the keel up’ to provide wide open spaces, unsurpassed passenger comfort, innovative environmental features and attributes typically seen only on far larger vessels. Steller Yachts has worked with VoyageVert to design a sustainable sailing ferry capable of transporting 200 passengers across the Atlantic in 10 days. The service is intended to provide a viable alternative to long-haul flights, encouraging passengers to consider more environmentally friendly travel options. 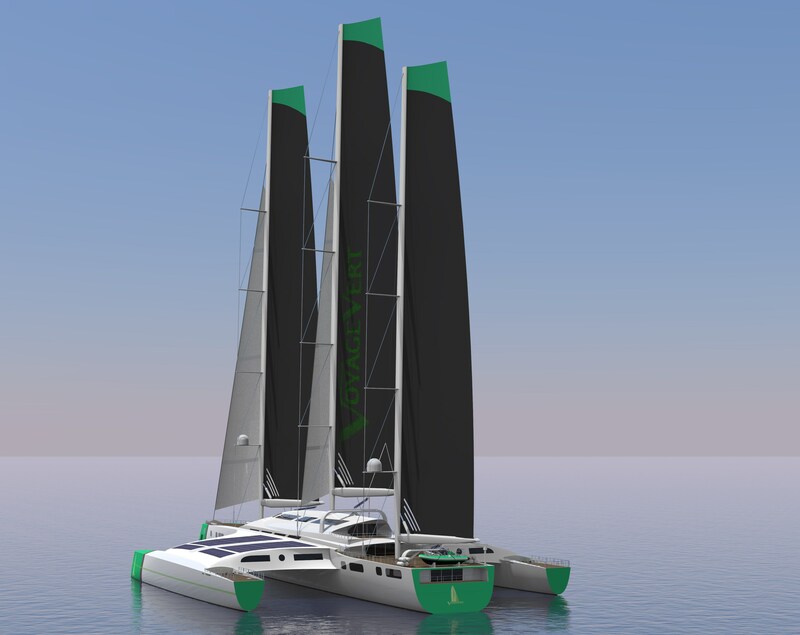 The 110m trimaran, which can also accommodate 46 crew, is designed for a cruise speed of 20kts.